The Tortini Kitchen Dress is a 50's style kitchen apron. 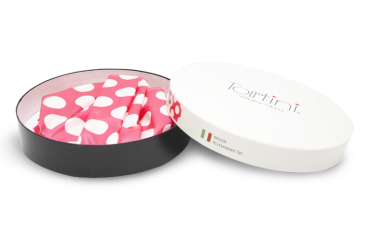 The Tortini's are elegant and strapless, a definite must for every Kitchen Princess! Decades ago, Italian women wore beautiful aprons, known as kitchen dresses. These elegant and practical aprons were an essential tool to the daily chores. This iconic apron once again has found it's way to the kitchen. 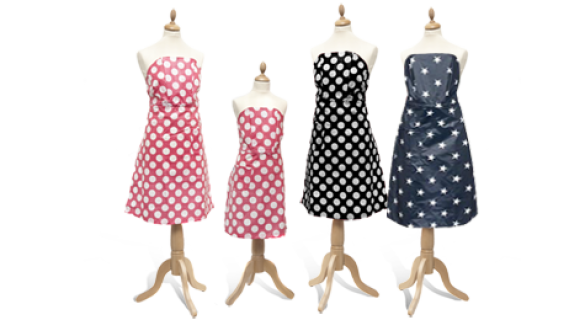 Simplicity, comfort and beauty in one… Tortini brings these special kitchen dresses to you! We hope you enjoy them as much as our mothers do. The Kitchen Dress is available in 3 different colours and designs. Black, pink (also a kids version) and blue. Every Kitchen Dress is shipped in a unique 50's style gift box. This makes it a great as a gift for your mom. Or you! 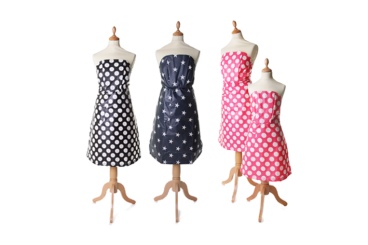 The Tortini Kitchen Dress is an easy to use and comfortable kitchen apron designed in 50's style. It is shipped in a elegant gift box, which makes it a nice gift to all the kitchen princesses out there! The Tortini kitchen dress is an international registered product and trademark.